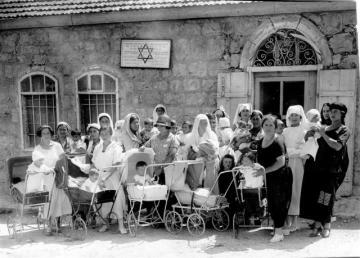 Founded in 1983, Hadassah International unites people of all faiths and nationalities in their mission to improve lives around the globe through their financial support of the pioneering medical healing, teaching, and research at the Hadassah Medical Center in Jerusalem. Hadassah International spans five continents and is made up of volunteer men and women who believe that advancement and cooperation in medicine transcend politics, religion and national boundaries. The universal language of medicine allows Hadassah International to build bridges between nations and help to establish research and clinical ventures between the Hadassah Medical Center and medical institutions around the world. Hadassah International has supporters on 5 continents and 13 active Units who work to raise the visibility of Hadassah worldwide while raising money for the Hospitals. They are engaging in innovative business partnerships, direct solicitation, as well as elegant galas and events to fulfil this goal. 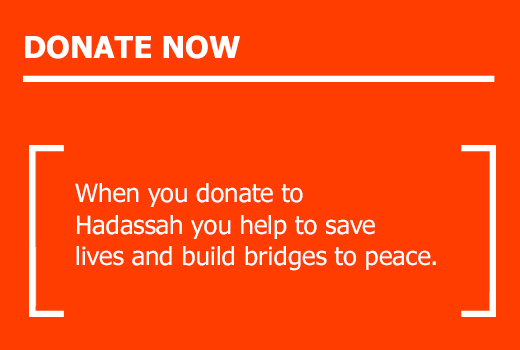 Hadassah International raises funds for HMO exclusively. 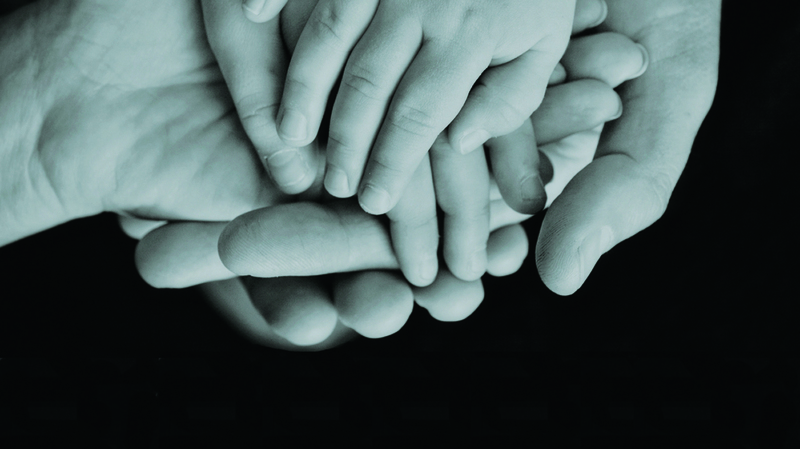 In the past 5 years Hadassah International has raised over $44 million. Since the beginning of the Sarah Wetsman Davidson Hospital Tower campaign, Hadassah International donors have contributed over $38 million. There are 6 men and 5 women serving as Presidents in our most active units. Hadassah International is governed by a 9 member international Board of Directors drawn from Brazil, Hong Kong, Switzerland, Italy, Canada, the United Kingdom, as well as the US. Hadassah International currently has 12 members on its professional staff. You can follow our events and successes on our Hadassah International website. Content is provided by the Hadassah International Communications team. Our central Hadassah International English website, www.hadassahinternational.org serves as a detailed resource for news from the Hadassah Medical Center (HMO). Here you can find indexed articles available on every major story that has come out from the Hadassah Hospitals since 2012. It serves as a data base on disease treatment and research that Hadassah has excelled in over the years as well as heart-warming patient stories, bridges to peace and international outreach. We strive to show the world why Hadassah is “More than a Hospital”. From the dropdown on the top bar, you can access all 11 Hadassah International Unit websites in English, French, German, Spanish, Portuguese and Hebrew. 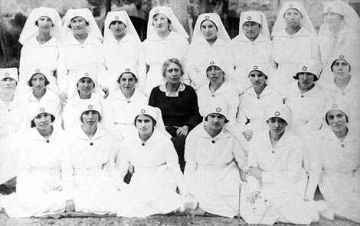 These include Hadassah Australia, Hadassah Belgium, Hadassah Brazil, Canadian Hadassah-WIZO, Hadassah France, Hadassah Germany, Hadassah New Zealand, Hadassah International Israel, Hadassah Latinoamerica, Hadassah Switzerland, Hadassah Panama and Hadassah United Kingdom. Hadassah International also sends out a monthly Newsletter in English and Spanish. Many of the Hadassah International Units also run Facebook pages to engage their local populations. We have Facebook pages in 5 languages. The two Facebook pages intended for a wide international audience are in English (Hadassah International) and Spanish (Hadassah Latinoamerica), and each one features a daily posting. Hadassah International has its own You Tube Channel featuring videos of interest to our international audience. Most videos are in English, some with subtitles in other languages, and some directly in French or German. Hadassah International is moving forward with innovation and worldwide outreach to promote and support the Hadassah Medical Center. 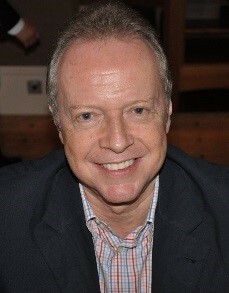 Robert Dorfman, President, is a lifelong resident of Hong Kong. He serves as the United Israel Appeal Hong Kong Campaign Chairman. Upon completion of his studies abroad, Robert returned to Hong Kong to join the family business, Herald Holdings Ltd, today a publicly listed company quoted on the Hong Kong Stock Exchange. Joyce Rabin, Vice-President, previously served on the Hadassah International Board of Directors during her term as Coordinator of Development for HWZOA. An experienced fundraiser, she has led fundraising workshops for many of our Hadassah International units. 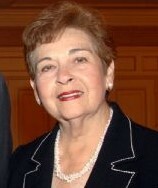 Joyce has served on the National Board of HWZOA, was a National Vice President, and has held numerous HWZOA National portfolios. 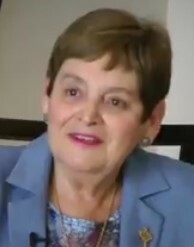 Ellen Hershkin, Chairman, is National President of Hadassah, the Women’s Zionist Organization of America (HWZOA), and Chair of the Hadassah International Board of Directors. Since the beginning of her membership in 1973, Hershkin has held various leadership roles within Hadassah. In addition to serving on Hadassah’s National Board and Executive Committee, Hershkin is a former board member of the Jewish National Fund and the United Israel Appeal Board. Belle Simon, Treasurer, of Port Chester, NY is the Treasurer of Hadassah International and National Co-Chair of the Elections Committee. A former Chair of the Hadassah Medical Organization, Mrs. Simon also served on its International Board of Directors. Mrs. Simon has served as a National Vice-President and as a member of the Executive Committee of Hadassah for over 15 years. She also served as Chair of the Hadassah America Young Leaders Department. 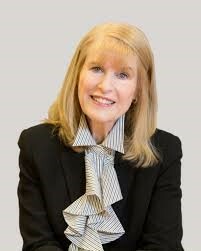 Perry Britton, Director, is a Member of the Board of Directors of Hadassah International. He is President and CEO of Britton Electric, a position that he has held since 1978. Mr. Britton is active in a number of charitable organizations and is the 2009 Co-chair of the Week-end to End Breast Cancer in Montréal. He has been a member of YPO since 1990 bringing help to the most remote parts of the world. Mr. Perry speaks French, Hebrew and English. 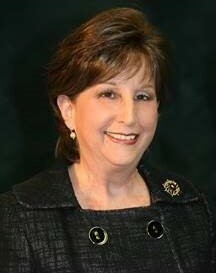 Patricia Levinson, Director, and the Hadassah International Communications Chair, was born in Johannesburg, South Africa. She and her husband, Lionel, moved to Israel in 1966, where she worked in reproductive biochemistry at the Weizmann Institute of Science. In 1970, the Levinson family moved to Schenectady, New York, where Patricia immediately became involved with Hadassah. Dr. Shai Misan, Director, is the CEO of Medic4all, Italy. Shai Misan is a surgeon who graduated in Medicine and Surgery at the University of Trieste and specializes in Telemedicine in the United States. Misan is finalising his PhD in psychiatry at the psychiatric clinic in Trieste with focus on elemental health about which he has published several articles. Shai Misan has also completed executive management courses in economics at the London Business School London and Barcelona. 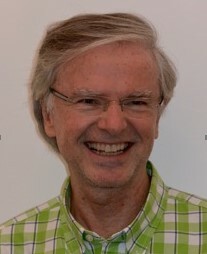 Dr. Manno (Micky) Saks, Director, graduated as a medical doctor in 1982 at the „Technische Universität“ in Munich, Germany. Amidst his residency program he was granted a scholarship by the German Cancer Society and subsequently spent two years (1984 – 1986) as a Research Fellow at the Division of Gynecologic Oncology at the Jackson Memorial Hospital, University of Miami (Florida). 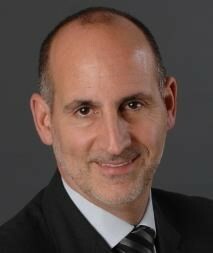 Fabio Wajngarten, Director, of Sao Paulo, Brazil, has joined the Hadassah International Board of Directors in July 2015. 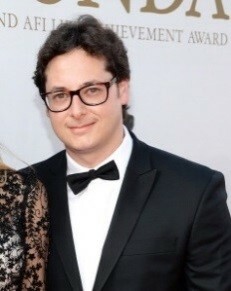 Fabio graduated as a lawyer and worked in the legal arena for five years, specializing in international and public law. As his passion always was communications, he pursued the study of marketing and communication towards an MBA in Services of Marketing.